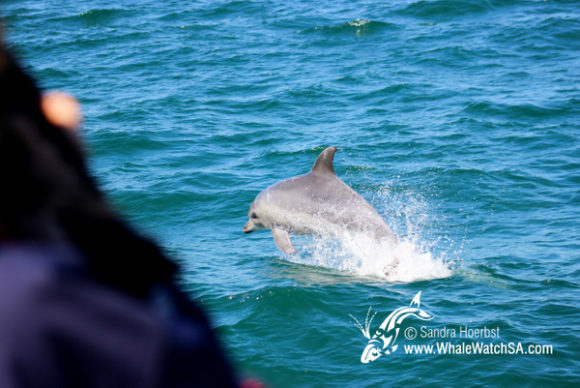 We went out on two great whale watch trips today. 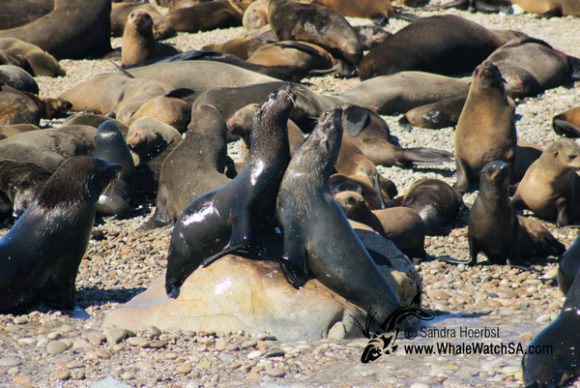 The morning trip started out a little choppy, but after searching a little towards Danger Point, we went over to Geyser Rock to see the Cape Fur seals. 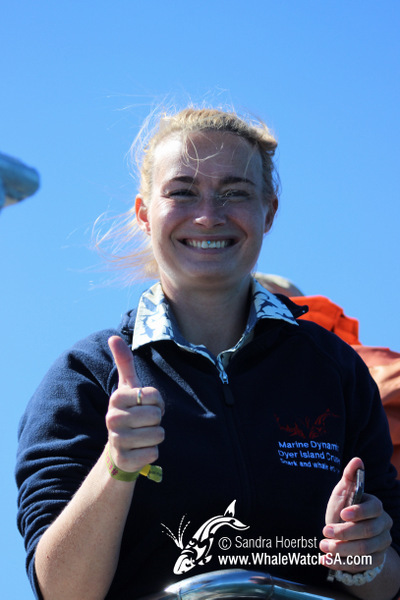 Everyone enjoyed watching their joyful antics in the calmer waters of Shark Alley, getting out of the open ocean waves. 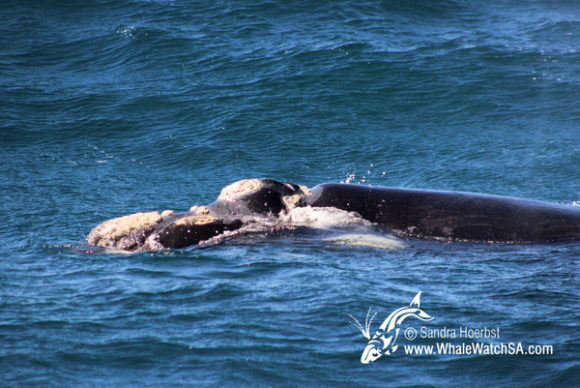 After leaving the seal colony we started towards Pearly Beach to look for whales and very quickly found a Southern Right whale mother and calf. 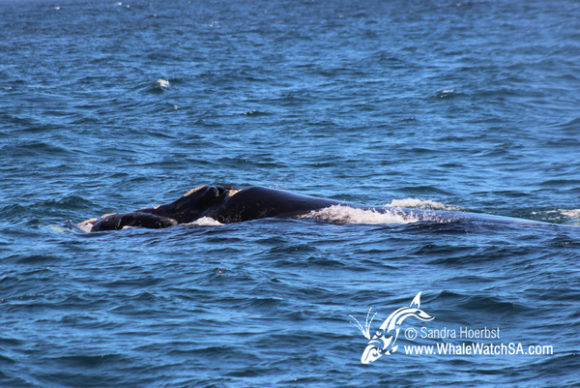 It was really great to see a Southern Right whale calf again and we enjoyed some close looks at the little one. On the way back to the harbour we stopped by the shark boats and got to see a Great White shark come very close to our boat as it swam by. 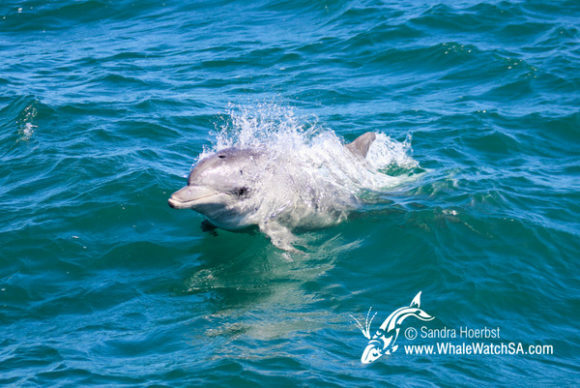 On the second trip we were very lucky and found a group of incredibly playful Bottlenose dolphins early in the trip. 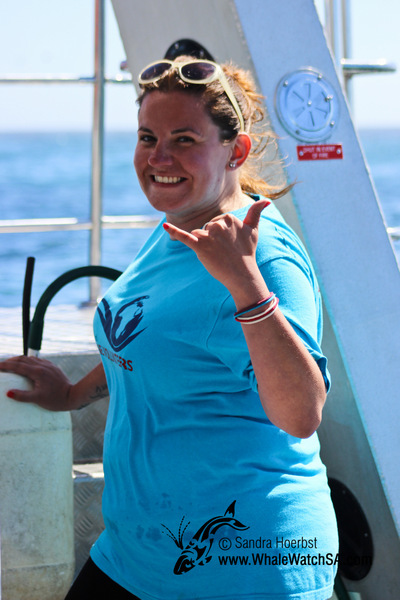 They came to Dream Catcher and rode the bow wave, jumping out of the water on both sides of the boat. 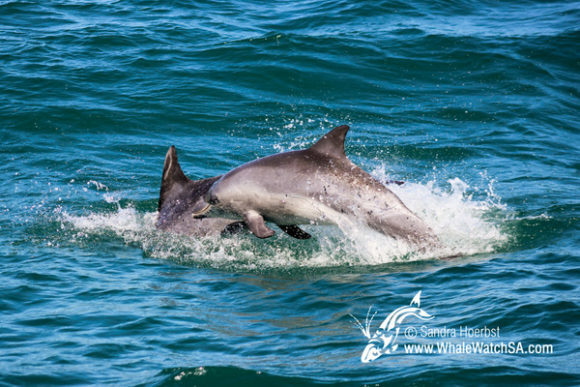 One dolphin had a very distinctive dorsal fin that has been very damaged in some way, but we don’t know how this happened. This looked like an old wound, however, and the dolphin appears fine. 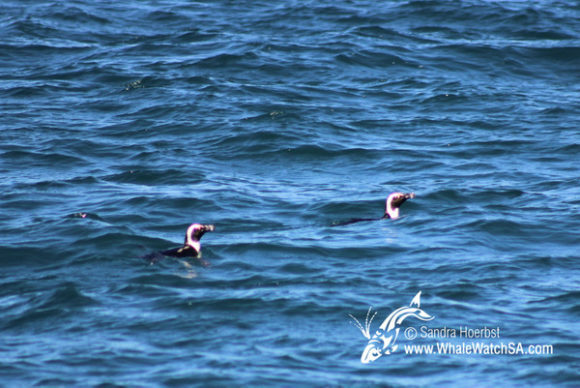 We left the dolphins and on the way to the shark diving boats got to see two African penguins sitting in the water. 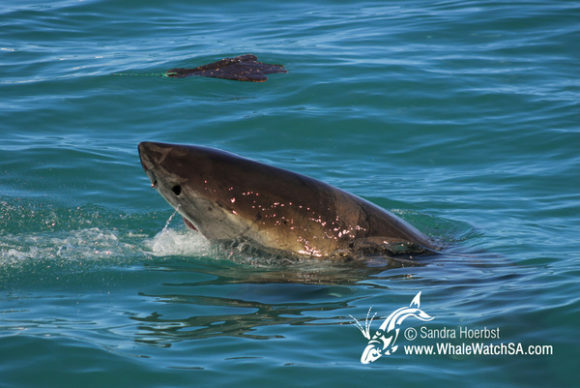 We watched a Great White shark lift its head clear out of the water by our sister boat, Slashfin, and then found two adult Southern Right whales not far away towards Pearly Beach. 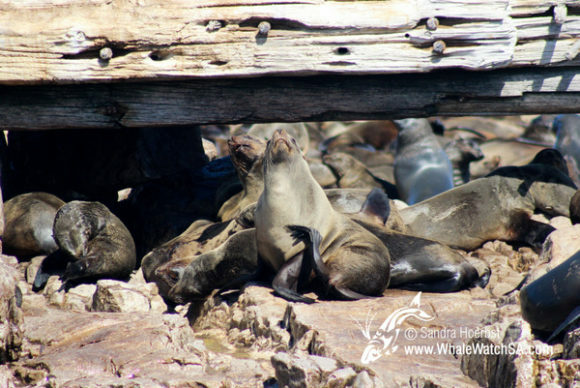 After getting some really nice looks at the two whales, slowly travelling, we then stopped by the fur seal colony once again. 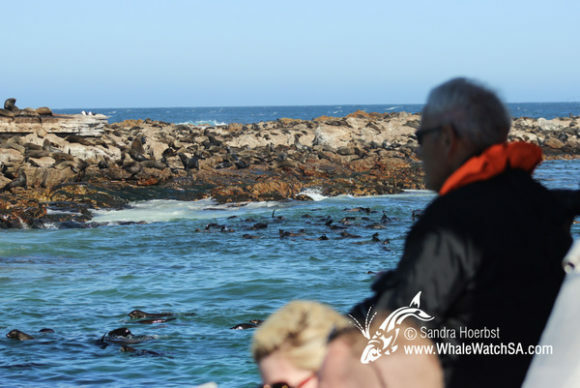 The lucky passengers on this trip got to see the Marine Big 5, not something that happens every day.